Have you ever wanted to set off on an adventure where you can escape the pressures of daily life and get lost exploring uninhabited islands with the sounds of Ospreys chirping above you, sunshine on your face, waves coming to gently kiss your toes and miles of beaches to seek for treasures the ocean has given up for you? 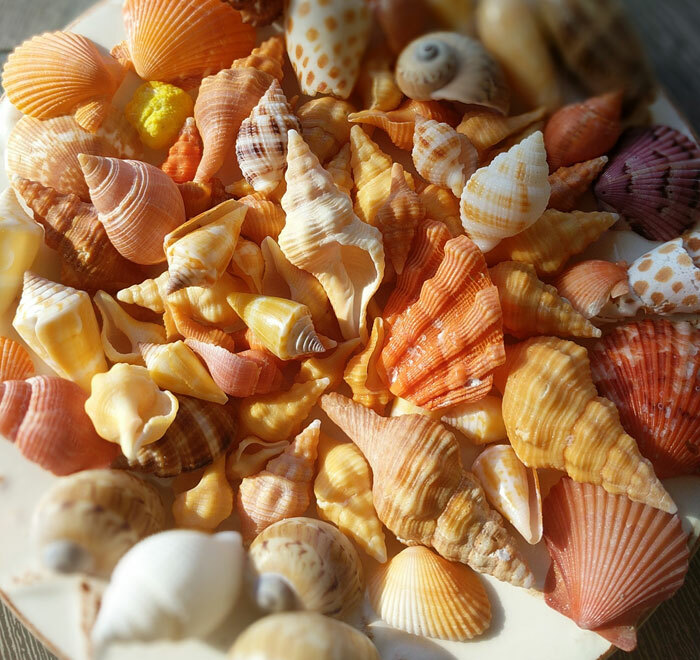 Come and spend the day with Treasure Seekers Shell Tours shelling in the Ten Thousand Islands Wildlife Refuge. which is located south of Marco Island, FL. These islands are only accessible by boat which makes your shelling experience out of this world! Many times you will be the only ones on these barrier islands which don’t receive the shelling pressure that many other famed shelling islands such as Sanibel, Captiva or Marco Island. 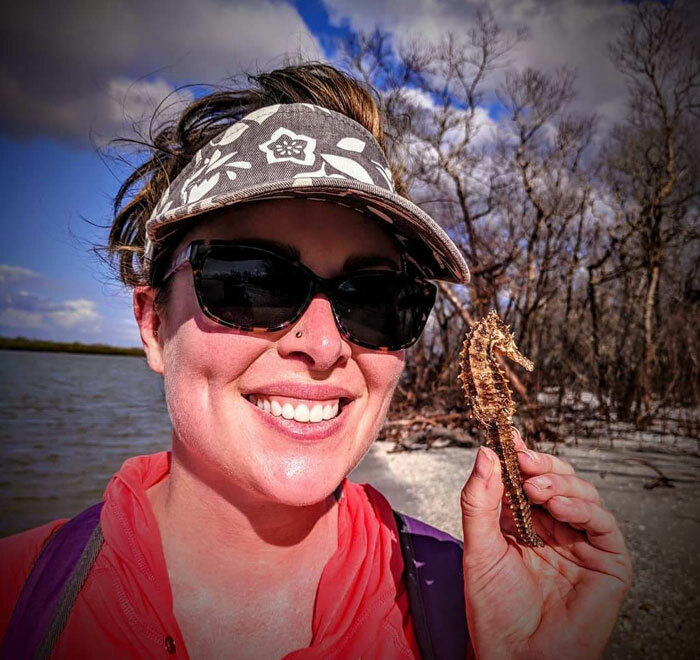 During your tour with us you’ll have the chance to learn about the region’s marine life and see the ecosystem of mangroves, plus lets face it…the reason your here is to experience EPIC shelling days and that is what we intend to give you. Book Your 4 Hour Shelling Tour Now! Captain Tammy is friendly, helpful, and knowledgeable about the area. The boat is comfortable with plenty of room to move around, head, and freshwater rinse. Her mate keeps tabs with the group throughout the trip, offering cold water and even carrying your bag when it gets loaded down with shells. Add in a nutritious snack and a trip to the picturesque dome houses of Cape Romano and it’s a perfect day. We had the pleasure of going on our first tour to Shell Island in August with Capt. Tammy & First mate Michelle. Both were awesome and helpful with advise on where to look for shells & keeping us hydrated in our Florida heat. They provided us with healthy snacks, tea & ice cold water so we didn’t need to bring anything with us except a shell bag and sun screen. It was definitely a great experience, the shelling, seeing the Cape Romano Dome House and the 10,000 Islands. We are already looking forward to our next trip in the Spring! Thanks for such a wonderful day! My friends and I live 2 hours north of Goodland and have been following the Instagram account of this tour company for quite sometime. We kept mentioning how much we would love to go and finally booked our trip to celebrate my 50th birthday this week. We received a detailed message from Tammy addressing us all by our first names explaining everything about the tour, what to expect, bring etc. We arrived early to a beautiful boat ramp/park in Goodland and were warmly welcomed by First Mate Michelle. The boat was beautiful, Captain Tammy was awesome and knowledgeable and the entire experience was one I’ll remember forever. My friends and I enjoyed every moment that we had shelling on Kice Island, Michelle made sure we had enough water and was even kind enough to carry our heavy shell bags back to the boat so we could continue shelling. They also provided a wonderful snack at exactly the right time (almost like they’ve done this a few times, lol) After our shelling experience we cruised over to check out the dome house at Cape Romano and have wonderful pictures and memories of our day thanks to Dawn from Shell Key Photography being on the same tour. It really was the perfect way to spend the last day of my 40’s and we can’t wait to go shelling with Captain Tammy @treasureseekersshelltours again. My husband and I went on a tour with Captain Tammy on March 26, 2018. It was fabulous. Tammy kept in touch via email and text prior to our trip. She was really helpful and so personable to talk with. Our trip was fantastic. We found a ton of beautiful shells and sand dollars. Her dad was the first mate and he was so nice and helpful. They both are very knowledgeable and super fun people. After shelling in the island we went to see the dome homes, Tammy even looped back so we could get some great video of the dolphins. She provided history of the area and snacks and drinks as well. I would highly recommend Treasure Seekers Shell Tours. Caption Tammy is the best. We will definitely be booking again and again and again!